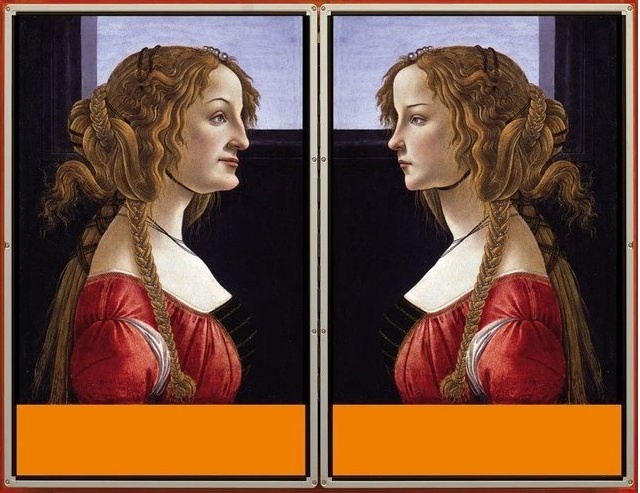 One can be forgiven for thinking that the main objective of contemporary art is to confuse or bore the viewer, while nominally exalting obscure academic theories or righting social evils. On the other hand, there is occasionally art today, which while definitely “brainy”, has a strong aesthetic component and is still able to extract a sense of wonder: that “Wow, this is cool !”. Michael Joaquin Grey’s show Orange between orange and Orange at Carroll / Fletcher is such a show. 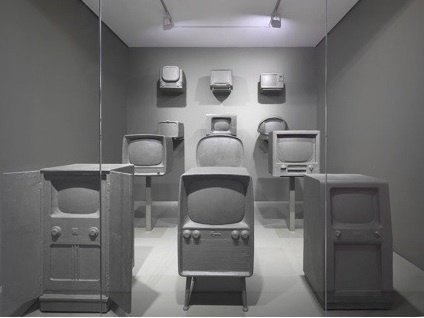 The room is filled with objects in vitrines, notably Xerox machines and ancient televisions, seemingly made of grey-green clay. There are sculptures in orange perspex boxes, wall-hung work reminiscent of some sort of hard-edged abstraction, a few goopy colourful things that look like they’re squeezed out of giant paint-tubes, and lots of video screens, most with 3-D computer models spinning and careening around. 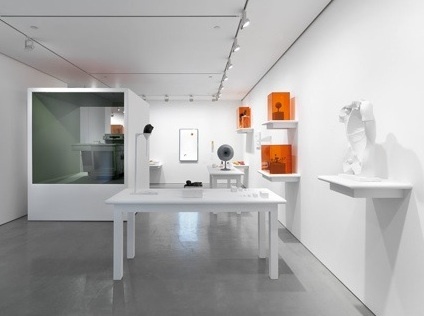 It is a feast for the eyes, and in one installation, the ears; and yes, there is a lot of orange. It’s very sanitised, digital, modern, shining: straight out of a hospital or a laboratory. One can quite happily wander around, checking out the copiers, and watching the computer-generated video loops. But what ties this diverse collection of work together ? Well, the copiers, televisions, and other bits of electronics are meant to evoke a sort of anthropological museum of late-20th century life. And indeed, most of these things are already irrelevant, barely 50 years after their debut. These relics show up again in a computer animation, which has them spinning around the screen as if part of a Kuiper Belt of civilisational junk. I’m afraid I don’t have the background in art or cultural theory to convince myself, much less write a punchy review, that the show, and Grey’s work, really hangs together. But, at a purely aesthetic level, it certainly passes the “cool” test. The works are beautifully made (though he probably has assistants), and the video pieces are pure eye-candy. Yet there is more than enough concept, thought, and reference, behind the work to make it something considerably more than a slickly produced cabinet of curiosities. Definitely worth a look if on the Fitzrovia gallery circuit.